The Fed Just Raised Its Rate Again. When Will It Start To Hurt Consumers? Federal Reserve Board Chairman Jerome Powell, seen before a Senate committee hearing in July. The Fed announced another interest rate bump Wednesday on the strength of a healthy economy. The Federal Reserve announced another quarter-percentage-point increase in interest rates Wednesday as expected, citing a strong labor market and economy. The Fed raised the benchmark borrowing rate to a range of 2 percent to 2.25 percent, the third hike this year. In its announcement, the Fed said: The labor market "has continued to strengthen and ... economic activity has been rising at a strong rate. Job gains have been strong, on average, in recent months, and the unemployment rate has stayed low." In the three months since the Fed last raised rates, there have been reports of strong jobs numbers, bullish markets, blockbuster growth in GDP, a rock-bottom unemployment rate and sky-high consumer confidence. And on Wednesday, the Fed raised its forecast for economic growth this year to 3.1 percent from the 2.8 percent it projected in June. 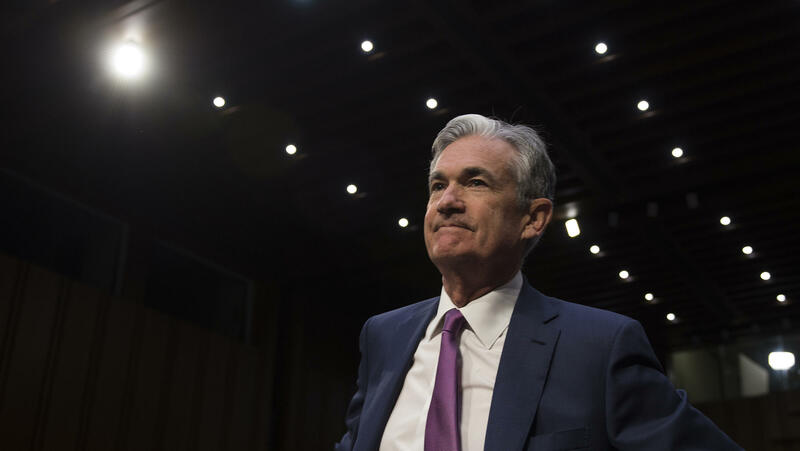 "It's a particularly bright moment ... for the U.S. economy," Fed Chairman Jerome Powell told reporters. That's not to say there aren't dark spots. There is a lot of uncertainty over trade and how that is going to play out in the economy. But more importantly for workers, sluggish wage growth lingers and economists caution that higher rates could hurt already tight household budgets. "Wage growth — finally it has accelerated a bit, but it's still a shadow of its former self. Especially after adjusting for inflation, which has picked up," says Diane Swonk, chief economist at Grant Thornton. With the unemployment rate hovering at a low 3.9 percent, workers should be in high demand. But they don't seem to be getting paid like it. Many economists touted August's 2.7 percent year-over-year wage growth as the fastest in nearly a decade. But the cost of living increased at roughly the same rate, effectively wiping out the gains for most consumers. Economists have cited a raft of possible causes for the slow wage growth. It could be that workers are receiving more bonuses and benefits rather than raises. Employers may be desperate to find workers but aren't finding enough trained ones. Or it could be simply that the unemployment rate is deceiving — and that many people have left the labor force since the financial crash about a decade ago. At a news conference earlier this year, Powell called the issue "a bit of a puzzle." "We hear about labor shortages, but where is the wage reaction?" he asked in June, right after the Fed raised the federal funds rate for the second time this year — to between 1.75 percent and 2 percent. As rates continue to climb, it could place greater pressure on families who have been relying on their credit cards and mortgages to get by. "For a lot of households, their wages have barely kept pace with the increases in household expenses — if even that," says Greg McBride, chief financial analyst for Bankrate.com. "Layer on top of that rising interest rates and the rising headwind that that presents toward consumers that are trying to get their debt paid off, and it's just going to further strain families that already have tight household budgets." Wages were not the only riddle hanging over the two-day meeting of the Federal Open Market Committee, the Fed's board of policymakers. There are also troubles beyond U.S. borders. From Argentina to Turkey, many of emerging economies have been hit by turbulence as a strengthening U.S. dollar helped send their own currencies into a skid. Add to that the uncertainty surrounding the deepening trade dispute between the U.S. and China, leading to tariffs leveled on hundreds of billions of dollars' worth of goods. Powell said businesses have raised concerns about the impact of trade conflicts, but the Fed has not seen much of an impact on the economy so far. "The Fed will always say it's making policy decisions for the U.S. economy, and that's their mandate," Swonk says. "But the reality is, what happens around the world does not stay around the world. It washes up on our shores, as well." Still, even with eight hikes in the past three years, interest rates remain historically low. The Fed effectively placed its foot on the gas during the Great Recession, driving down rates to boost borrowing and pump more money into the economy. Now that money is flowing, and now that inflation is ticking up, most analysts say it's about time to ease up off that gas pedal. "There's a lot of momentum in the inflation process, and I think there's always a concern that if the Fed waits too long to address inflation, then it becomes more difficult," says Ann Owen, a professor at Hamilton College and former Fed economist. If the central bank waits too long to head off inflation by raising rates, she explains, it could mean having to do more drastic rate hikes down the road. The Fed wants to avoid that whiplash. So the central bank may need to inflict modest pain on borrowers now if it means preventing much worse pains later. "One of the really difficult things about monetary policy is that it's really hard to know if you're at a turning point in the economy. So they're always questioning, 'Is now the time for us to act?' " Owen says. "Hindsight is 20/20, but they have to make policy today." So, what does all this mean for average folks in the meantime? Probably not much in the short term. "A really important point for people to keep in mind is that interest rates are still very, very low right now," Owen says, and the Fed so far has just been raising it with little nudges. But those increases are expected to continue — with several more tentatively planned in the next year — and those changes may soon be evident in pricier credit card statements, mortgages and student loans. At the same time, they may also translate to higher returns for people who have been socking away money in a bank account. "Rising rates are going to be good news for savers and bad news for borrowers," Bankrate's McBride says. "Do what you can to put yourself on the right side of that equation."